Dogs will love the treats that come from these fine ceramic treat jars with bone adorned lids. 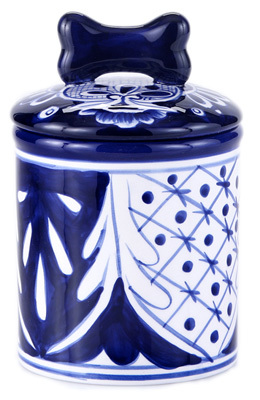 Small Jars are 7.5" tall (w/ lid) and 4.5" in diameter. Medium Jars are 10" tall (w/ lid) and 6" in diameter.